publish a new WD of AS2 drafts as of / by Friday. ... integration user stories. Is that you bengo ? tantek: how much time do you need? 10 minutes? ... when a user does something that needs to plug in, it gets a token, and ..? ... it's a complicated mechanism, there are other ways it could work. There are some other patterns you may want to implement. ... as opposed to "use twitter and tweet on the hashtag and we'll pull it out"
tantek: are you able to show examples of people using this bengo? tantek: ok any other input you want to the working group? <tantek> any word from Rene? tantek: ok for 5 minutes to discuss this beforehand? <tantek> rhiaro, can you scribe? 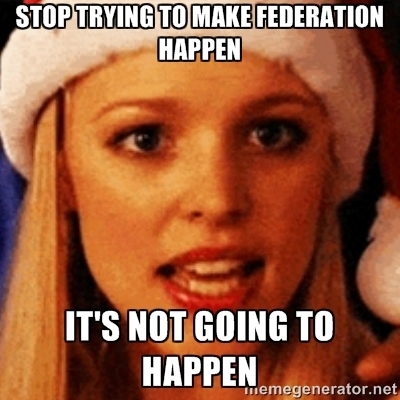 sandro: who's the market for the API without federation? ... is the value that they can already do a web api they can point to? aaronpk: and someone wants to build something but not use the mobile app... ? <tantek> kevinmarks - if you want to do that, could you add to https://www.w3.org/wiki/Socialwg/2015-12-01#Proposed_technical_items ? ... My interest drops dramatically. That's the whole reason I'm int he group. ... my other question is evan, are you just not eager to talk about it for 4 hours right now? ... so we already have what we need? ... are we choosing webmention immediately? eprodrom: so we're going to look at alternative systems? sandro: that's what we're talking about now? tantek: how much time do you actually want? tantek: any objection to slotting an hour time? tantek: let's timebox yours to an hour. is that okay eprodrom ? ... if there's a way to do webmentions, a blog system that does webmentions, to know if it's conformatnt to the spec, have to define what is a link that does webmention? ... eg, "is this string in there, the url doesn't appear there, but it's absolutely specified"
aaronpk: ok so we don't need to discuss the actual contents right now, but worht specifying...? tantek: is it reasonable to say you raise issues as helpful...? <kevinmarks> is the verification part going to be normative? <kevinmarks> what do we mean by 'each media type' - would we process a QR code? wilkie: I'm looking for some bullet points saying "this could happen, here's how to avoid some obvious/easy ways to get hut"
sandro: so another way to put it, do I have the legal authority to post whatever I want to an endpoint? ... the kind of people who will say "this is crazy, you can't do this"
sandro: they look at pingback and say nobody should do this, we'd like them to have them say "oh this is (good?)" sandro: jasnell you have some experience with the http working group right? tantek: is there an appropriate maturity schedule needed to do that review? ... need is before CR? I'm sensing there's an opinoin that having review soner could be helpful? sandro: related thing is, how this is framed/scoped as... is it for everything on the web? sandro: I'm... not sure scope section will help. ... quesiton back here is does anyone have interest in selling it more broadly? or are we too concerned about feedback? sandro: one relatively harmless way to do it might be to have a w3c staff technical ...? tantek: best before or after first working draft? ... what could one feed to someone else's verifier to have it blow up etc? bengo: just thought, should it respec the robots.txt for ...? <kevinmarks> No-one is on reception, can someone let me in? melvin would resolve "we can convert this to semantics"
<ben_thatmustbeme> presumably we don't actually need to send that namespace correct? <ben_thatmustbeme> or rather the context? <elf-pavlik> webmention seems to represent a link, how about using terms from as:Link ? tantek: but there's implementation agreement? <ben_thatmustbeme> are we bothering with queue? kevinmarks: the one I gbuilt stores entirely in ??? sandro: they weren't updating their well known? aaronpk: stop as in most peoples' code when they look beyond "what does this mean" they have "is it a bla, or a blah"
aaronpk: couldn't you use a fragment on url as subject? tantek: do you have a counter-proposal? ... as an extension what does it look like? a type hinting extension? <wilkie> I feel like in the context of the Social API that you would want to parse the entire page anyway. to pull out ALL comments and ALL likes that refer to you (with the same url) and represent them. rhiaro: one suggestion in that thread is for those who don't care about semantic content you just send it ...? <jasnell_> one possible approach is to have the discovery mechanism to allow a site to declare a prefix for a particular base URI mapping... for instance, "xyz-" = "http://xyz.example#", then a parameter named "xyz-foo" would expand to "http://xyz.example#foo"
sandro: goal is for working draft? tantek: do we want to say we have a certain a mount of time? <trackbot> Created ACTION-81 - Publish new editor's draft of webmention before next telcon [on Aaron Parecki - due 2015-12-09]. <eprodrom> I sent Rene an email; let's see if it produces anything. <kevinmarks_> if I webmention people from the logs, what happens? <ben_thatmustbeme> for demos could we turn talky to projector? <azaroth> ben_thatmustbeme: is that better? ... So what can you do with an environment? ... But that's not all! tantek: code knows about implied context? tantek: if it has an explicit context it just works? tantek: Any questions for chris? tantek: this is in your reader? <cwebber2> ben_thatmustbeme: btw where should I submit a patch to your jf2 context? <jasnell_> eprodrom: can we create a wiki page to document the current status ? eprodrom: can we document scope for vocabulary? jasnell_: are we in agreement on that position? ... but what is that bar? sandro: Do we have a registry for extensions? ... If it is a workgroup-managed thing, can we discuss the process? sandro: Do you own activitystrea.ms domain? <Zakim> tantek, you wanted to discuss dropped terms, changes from AS1? tantek: There's a section in the vocabulary about AS1 properties. Do you have any plans to include a section of changes, including dropped classes or properties? ... although it seems like a nice mechanism, wouldn't the namespacing effort make that not backwards compatible? bengo: What about stuff that was implemented in AS1? sandro: Doesn't that suggest changing the media type? jasnell_: That's the bar for adding. For terms already in the vocabulary, we are getting the minimal level of interop for most common cases. <trackbot> Created ACTION-82 - Compare as2 vocabulary with pump.io's use of as1 [on Evan Prodromou - due 2015-12-09]. kevinmarks_: can we get information from bengo on this? Can we send PRs? sandro: How do we update this document? <wilkie> does Loqi understand what is on the agenda? is Loqi scared? is Loqi trying to be useful? ... Is this also the process for Federation Protocol? eprodrom: saying we won't support unfederated social API? ... what does it mean to read a remote feed? cwebber2: can we say that moving forward with API, editors are encouraged to keep working with federation? eprodrom: that we mix up the 2 deliverables we're supposed to produce? aaronpk: have we used that? cwebber2: Evan, what ground od we need to cover; how to use work already done? ... could we do minimal amount of work, eg. wiki approved in a telcon? ... do you think we could come up with user stories to illustrate federation? ... assuming there are holes, what additional miminal user stories would we need to cover rqts? ... can you do the diff, and see what's missing from current user stories for federation? ... add the misssing stories? eprodrom: I'm thinking we take a number of federation protocols to the public/w3c, and say "this is a federation protocol", they'll ask "what does that mean"
... we want to be able to say "here's what we considered; here's what we left out"
eprodrom: current user stories are topologically neutral. <kevinmarks_> that one says "company social network"
eprodrom: does that mean we're soliciting new specs? eprodrom: will we be adding new parts? cwebber2: are you happy with loose description of "indieweb stack" ? <ben_thatmustbeme> micropub was never a federation api, its social API isn't it? ... do those proposals get there? eprodrom: why not take tiem to think it through? eprodrom: looking at other federation stacks that have been tried before, user stories, come up with requirements for federation protocol. ... I think that's weeks, not months. ... how would you expand story into sequence of steps. <ben_thatmustbeme> was that wseltzer's phone? tantek: would you be open to be curator? sandro: is pubsubhubbub part of the stack? cwebber2: Can turn these principles into actual proposals? tantek: you're volunteering for that right? tantek: how much time for call for reqs? <trackbot> Created ACTION-83 - Continue developing federation aspects of existing candidate specs (activitypump, solid, micropub/indieweb building blocks) and in parallel evan will curate requirements from user stories and other federation protocol efforts, with documented reasons for non-requirements [on Evan Prodromou - due 2015-12-09]. <ben_thatmustbeme> @here, as I already have wget copies of all old socialWG minutes, would it be useful to put a page together for WG resolutions and what meetings they were in? ben_thatmustbeme, aaronpk: was it azaroth who said he has a script for this already? <melvster> I'd like to clarify one point. Solid is not bound to the one user one site policy. It would be essentially incapable of widespread adoption if it were, because it would be impossible for social nets like facebook, google, twitter, icloud etc. to adopt. If that's a limitation (actual or perceived) it should be looked at. But im not sure it is. melvster: that discussion was rapid and could have been minuted in more detail. Thanks for the clarification for the minutes! <aaronpk> ben_thatmustbeme: do you have a permalink associated with them that you can also add? <melvster> close to, or on the server (or server farms). So there is architectural flexibility much like 3 tier MVC programming vs fat clients. Solid allows both. Hope that makes sense! <melvster> or in IWC case, 'homepage'? <melvster> any examples of that in the wild? <melvster> ie multiple users on the same origin? <aaronpk> lol "with unanimous silence, we've approved it"
<bengo> ben_thatmustbeme is there a github repo to which I can make pull requests of https://github.com/w3c-social/Social-Syntax-Brainstorming/wiki/jf2#context ? Arnaud1: more to talk about re API and federation protocol? ... Anything else not on the agenda? ... to eprodrom, do you ahve specific types of offers? jasnell: hearing no objectins, mark the above set closed. ... can we agree on the reason to close? <bengo> wiki page proposes "If we have Follow, we need isFollowing and isFollowedBy relation"
Arnaud: can we agree that we're not convinced possible benefits justify reengineering the data model at this point? ... overall, think it's an improvement. Arnaud: which do you prefer? ... I prefer ordered collection. tantek: collection vs ordered collection? tantek: you can't just alias? sandro: or "use this boilerplate text, put your language here"
tantek: why doesn't it play well? sandro: can you do @language in AS per-value? sandro: so issue is you read i18n guidelines as saying we need a whole-doc language tag? Arnaud: are you happy with that? <trackbot> Created ACTION-84 - Bring issue to i18n [on Sandro Hawke - due 2015-12-09]. cwebber2: I'm not sure expires doesn't add more complexity unless thought through more. eprodrom: expires coul dindicate "this isn't crucial"
Arnaud: Is anything like this in requirements? cwebber2: There may be a way of doing this without time-based expiration. Arnaud: how about wiki page? sandro: so whats wrong with CG? Arnaud: Who's signing up to do the reviews of proposed additions? <cwebber2> AS2 Pro namespace, I'm telling you! Arnaud: What should we do? eprodrom: Is this last one? <tantek> PROPOSED: publish a new WD of AS2 drafts as of / by Friday. 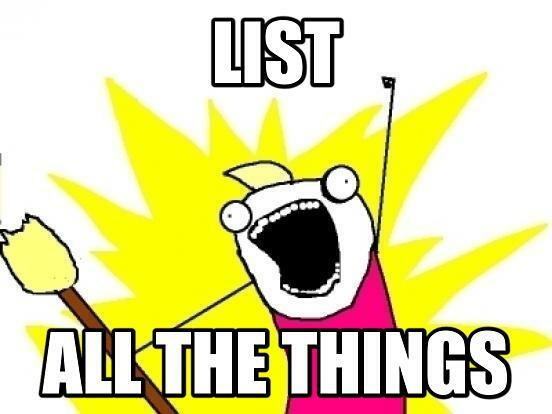 RESOLUTION: publish a new WD of AS2 drafts as of / by Friday. <kevinmarks_> did we lose post type? <tantek> kevinmarks: yes I reliquished my time and deferred to resolving AS2 Issues instead. <snarfed> bengo: cool! any idea how you expect it to differ from https://github.com/jasnell/activitystreams.validator , https://github.com/apparentlymart/activity-streams-tester , https://github.com/w3c-social/as2test , etc? (curl "https://gist.githubusercontent.com/gobengo/aef6d083290930e25025/raw/02bdf242d4d39000efdb4849db414bad85ec3463/indieweb-social.json" | node index.js ) && echo "perfect"
sandro: MIT in the spring? sandro: does that suggest doing it earlier like february? tantek: i'm going to be going there already, anyone else? eprodrom: if we were going to do September TPAC, March MIT, could we do another in between? rhiaro: December would be like a party since we finished everything right? ... can we pick a time now for March? cwebber2: could we do it right before libre planet? ... the editor should post "i feel like this issues is closed, if you don't agree, say so and i will escalate it to hte working group"
... would you mind copying this to a wiki page? sandro: we talked also about labels in the titles like "blocking"
sandro: can we just please have it all on github instead of per document? tantek: one of the antipatterns we saw was that an editor closed an issue because the original topic was adddressed and then someone else reopened it because an unrelated topic in the thread was not addressed, do we have enough language here to address that? ... how much bandwidth do we have for additional issues on other docs? ... so it's obviously useful, but is it like WG useful or just useful? tantek: type is optional, i don't know why, but it is. the purpose is to use this to determine type. ... I would like to reference it. When you receive a post, you can identify it. <tantek> sandro I filed https://github.com/w3c-social/post-type-discovery/issues/4 for you - I hope that captures your question. <trackbot> Sorry, eprodrom, I don't understand 'trackbot, close meeting'. Please refer to <http://www.w3.org/2005/06/tracker/irc> for help.